Expected to ship on or about 08/04/19. Remind family and friends the importance of faith and the true meaning of Christmas with these beautiful Christmas cards from DaySpring. Cards feature traditional artwork paired with Christ-centered sentiments, and inspirational Scripture. 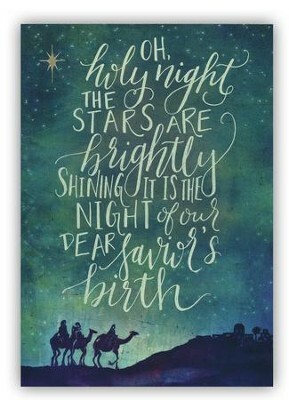 Inside Sentiments: May the infinite love of Jesus fill your life with hope and your season with joy. Christmas Blessings to you. I'm the author/artist and I want to review Bethlehem Cards, Box of 18.